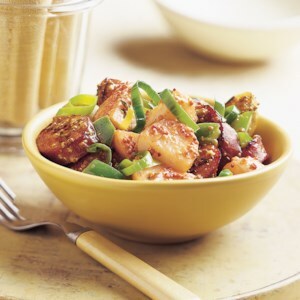 This hearty warm turkey sausage and potato salad is a great choice for lunch on a cold day. 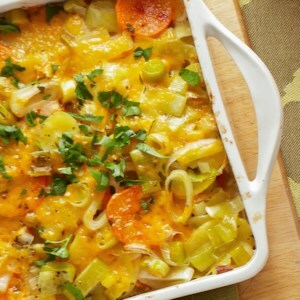 Feel free to substitute pork kielbasa for the turkey sausage, if you'd like. 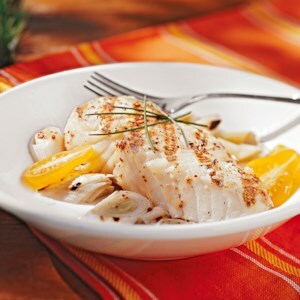 Kohlrabi is a root vegetable related to cabbage that can be eaten raw or cooked. 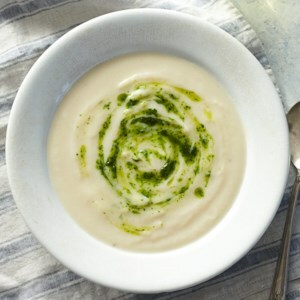 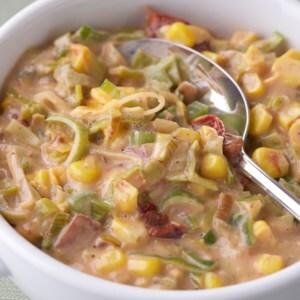 Here, we blend it with potatoes for a more nutritious take on the classic potato-leek soup. 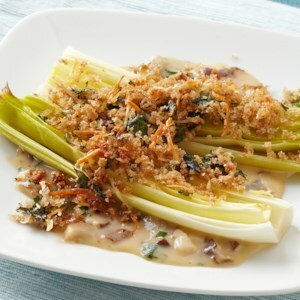 Savory, sweet and satisfying, these roasted potatoes and leeks make a perfect side dish. 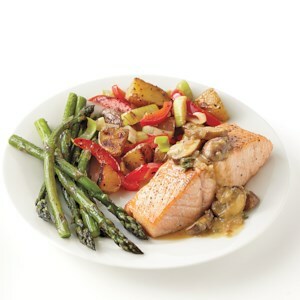 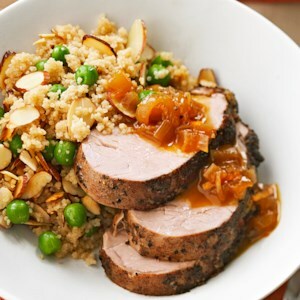 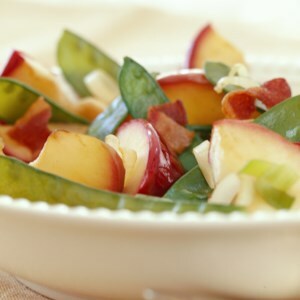 Make it a complete meal and serve with roasted asparagus and seared salmon (see associated recipes). 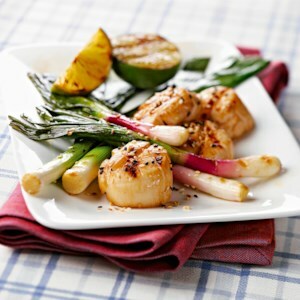 Grill these tender scallops with an Asian-style glaze for an impressive yet easy dinner any night of the week. 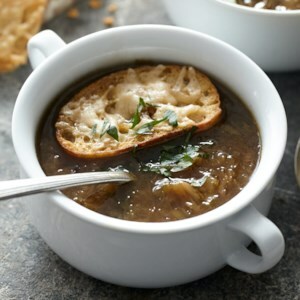 Sixteen cups of sweet onions may look like a huge amount, but they cook way down to create this very aromatic and warming recipe reminiscent of French onion soup. 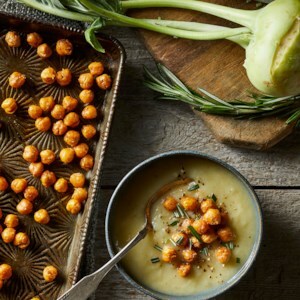 Parmesan croutes are a lighter topping than the traditional blanket of bread and cheese. 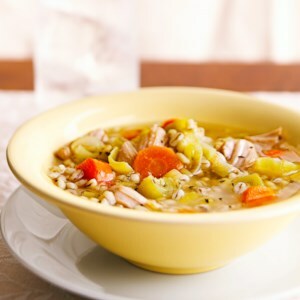 Leeks and carrots add a fresh-from-the-garden note to chewy barley and tender chicken in this satisfying main dish stew recipe. 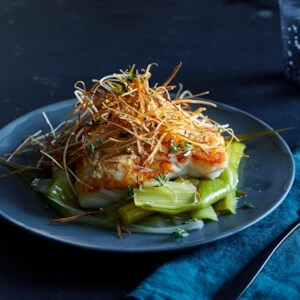 If you haven't tried kohlrabi yet, this is the perfect way to start. 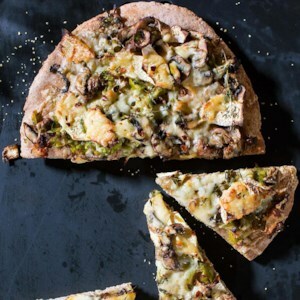 This easy pizza recipe with leeks, thyme and cheese is a great vehicle for eating the sweet, earthy vegetable. 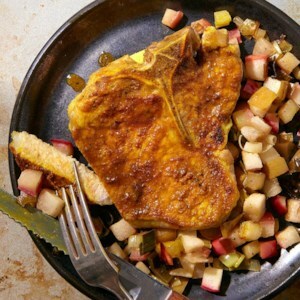 In this healthy oven-baked pork chop recipe, roasted apples and leeks lend a sweet-and-tart note. 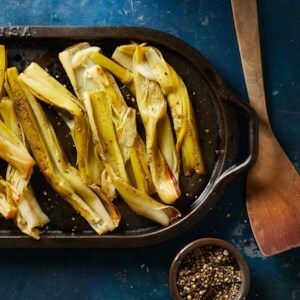 If you always chop the dark green tops off your leeks, don't discard them this time--they have a delicious flavor and become meltingly tender when roasted. 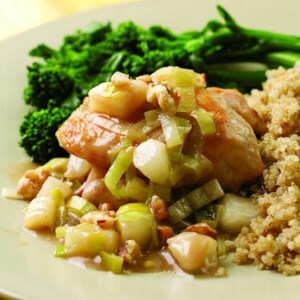 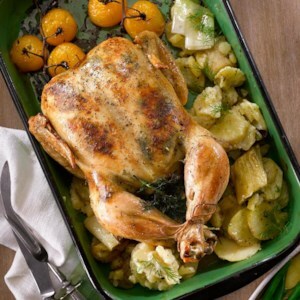 Here, we combine currant jelly--a tasty “secret” ingredient in rich sauces for game birds or poultry--with a medley of fall flavors, such as pears, walnuts and leeks, to make a quick pan sauce. 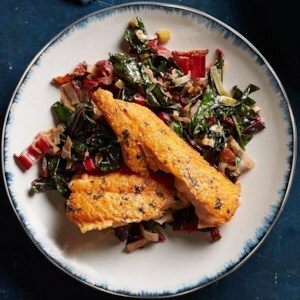 Serve with quinoa and broccolini.